Many people in society cannot benefit from the full value of cultural events if those events are not made available for them to access. While we tend to think of barriers to access as being geographical (the production I wish to see isn’t touring to my part of the country) or financial (I’d love to see that production if I could afford the ticket price), people who have sensory impairments – either because of disability or ageing – may additionally experience barriers based on lack of support for their access needs. 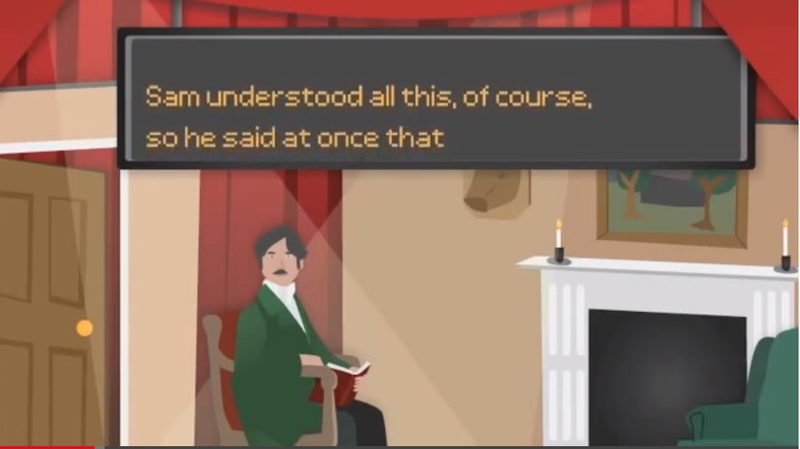 People who have difficulty hearing a theatre production may need captions. People who are deaf may need sign interpretation. People who have vision impairments may need audio description. Responding to these needs, and prompted by legislation such as the Equality Act 2010, many cultural institutions have shown interest in making their cultural events accessible to the widest possible audience by making them inclusive. The two organisations at the forefront of providing captioning and audio description services to theatres and live events in the UK to help them achieve this are STAGETEXT (http://www.stagetext.org) and VocalEyes (http://www.vocaleyes.co.uk). Investigating the economic value of accessible performances to theatres, we found that, while the 2008 SOLT Access London Theatre project identified large potential audiences for accessible performances in the UK, and follow-up projects like See-A-Voice have since trained theatres in developing these audiences, the actual audience numbers attending are lower than anticipated. This doesn’t negate the need to schedule accessible performances, due to the remaining legal and ethical business cases. However, the current fragility in the economic business case constrains producers’ desire to hold accessible performances. We identified many barriers to audiences booking for performances, and the possibility of a ‘Catch-22’: that return on investment requires enough accessible performances to be scheduled to enable disabled people to develop and maintain a ‘theatre habit’; but until enough develop this ‘habit’ accessible performances may actually lose the theatre money. In the current economic climate, without evidence that we are nearing this ‘tipping point’, progress towards it is stalling, as theatres ‘lose their nerve’ and fall back to levels of accessible performance provision that reflect a wish to prevent legal risk to the theatre rather than to develop these audiences. This is disappointing because our in-depth investigation into the wider cultural value of accessible theatre found ample evidence that audiences who attend accessible theatre performances benefit greatly from many of AHRC’s components of cultural value. However, negative aspects of cultural value are also clear. AHRC’s ‘community dynamics’ component mentions urban demographics that can be included or excluded from the community participating in the nation’s cultural life. 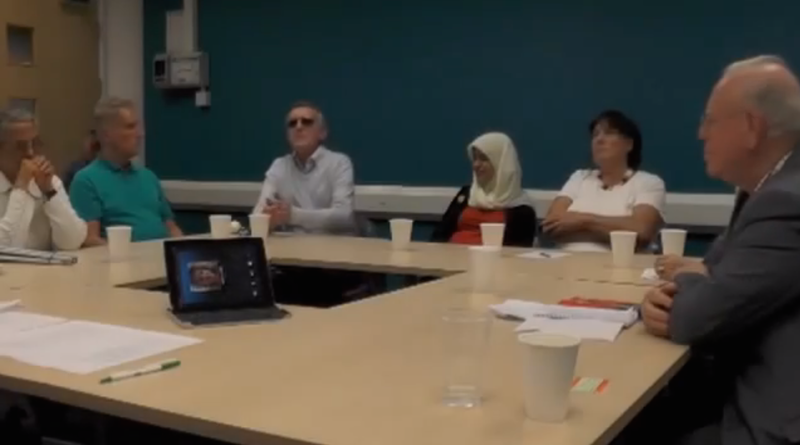 Our research found that Deaf, deafened, hard of hearing, blind and partially sighted people are in danger of being similarly disenfranchised if their needs are not considered. Theatres that don’t provide accessible performances have an adverse effect on community cohesion as disabled audiences feel excluded from seeing shows other people are coming together around. So we believe that it is important that ‘inclusion’ is recognised as a component in AHRC’s cultural value model. Without inclusion, disabled or older audiences can’t access the positive benefits of any of the rest of the components; and will only get the negative aspects of cultural value. Which arguably leaves them worse-off than if theatre didn’t exist at all. 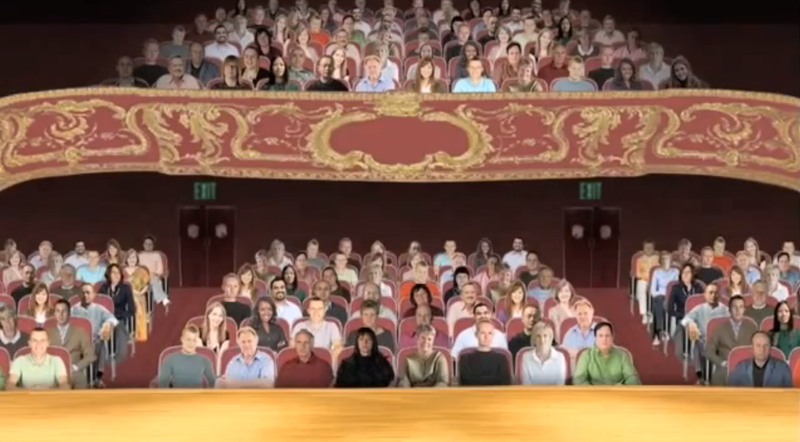 Back in 2006, STAGETEXT and VocalEye’s See a Voice project achieved a step-change in the level of provision of captioned and audio-described theatre in the UK. This established a model that, through current levels of funding, is enabling many deaf, deafened, hard of hearing, blind and partially sighted people to enjoy much of the cultural value of UK theatre. However, pressures on the current model, from some frustrated users and potential users, theatres and producers, together with the potential of new technological and organisation interventions that our study identified might shift current ‘immovable barriers’, suggest that it may be time to search for ways to achieve a step-change again.